When you decide that you want to marry and spend the rest of your life with a person - there are probably a billion thoughts that will run through your mind. Without a doubt, you would have fantasised about how your proposal will play out, however, now you want to make it a reality. At GoldeNet we want to help you create perfect moments with the person you love. So, we created the Ultimate Marriage Proposal Checklist for both men and women to make sure one of the biggest milestones in your relationship is a memory that lasts a lifetime. This is the first step that sets the stage for the rest of the steps that will follow. To plan and execute the perfect proposal you need to know how to keep this one a secret to maximise the surprise! When an engagement proposal is unexpected, the other person will be shocked, happy and excited! So it would be in your best interest to keep your planning and activities as inconspicuous as possible. If your partner becomes suspicious, do what you must to maintain the surprise. If they continue pursuing it, let them know truthfully that it is a ‘surprise’. The last thing you would want is to create friction and an argument that stems from one of the most important events in your life. Although it does sound rather traditional and old-fashioned, these people spent their whole lives raising and nurturing your spouse-to-be into the wonderful person that they are today. It really is a kind sentiment to let their parents in on the exciting news. The best time to ask for a blessing is before your proposal. The best way to break the news to them would be in person, or if they live too far away and travelling to them seems suspicious, then a phone call is good enough. Share as much or as little about your proposal plans and remember to remind them to keep it a secret! News like this is very exciting and the last thing you want is for it to be accidentally spoiled. The engagement ring is the centrepiece of your proposal. It is a powerful statement that symbolises to your significant other that you’re committed to living the rest of your lives together. A silent vow, an eternal promise and a clear message that whispers ‘I Love You’ to the person who wears it, and a message to the world that that person is loved. Here are some quick things to consider when looking for the perfect engagement ring. Clarity: Diamonds with higher clarity are crystal clear and free from blemishes. Colour: Perfect diamonds are colourless, whereas lower grade diamonds have a more subtle yellow tone to it. Carat: Once the cut, colour and clarity grades are determined, carat refers to the weight of your diamond. The more carats, the more weight. Certificate: Certificates are authentic dossiers which are created by a legitimate gemologist to grade and ascertain the grades of the diamond. Certificates are important to know if your diamonds are fake or not. Fluorescence: Refers to the glow usually under blue or UV light when illuminated. The fluorescence can affect a diamond’s look. For more information on these topics click here. Understanding the diamond is just scratching the surface. To find the perfect engagement ring for your partner there a few more things you need to know, mainly about your partner’s preferences and what to look out for when purchasing your ring. 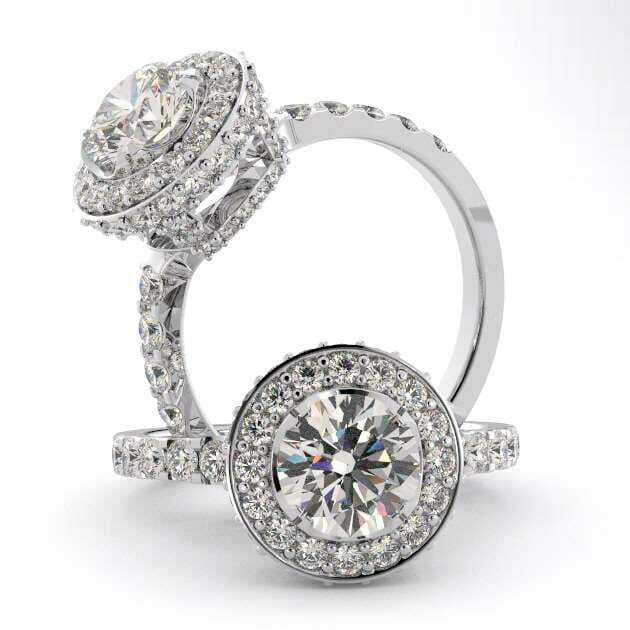 Engagement Rings & Wedding Rings: What’s the Difference? Not too sure which ring you should get? At GoldeNet you can customise your own rings by choosing your band colour, size and stone. If you need any further assistance or want to visit our showroom feel free to contact us here or call 1300 361 873. If you do purchase a ring and you are not completely satisfied with your item, you can return your product for a full refund within 30 days from the date of shipment. You’ve spent all this time researching, looking for and then finally buying the ring. One of the hardest steps is over. Now your proposal is no longer just a fantasy or idea… it is becoming a reality. After picking up the ring, your jeweller might’ve given you a beautiful looking box. Just 1 problem… It is bulky and too obvious! You can’t just hide the box in just any location. If you’re thinking of the sock drawer or show box, then think again. There will always be a chance that your partner will find it accidentally. Give it to someone else: If you live together with your partner, give it to a friend or family member to hold in the meantime. Change the box: The shape and size of an engagement ring box is universally recognised. 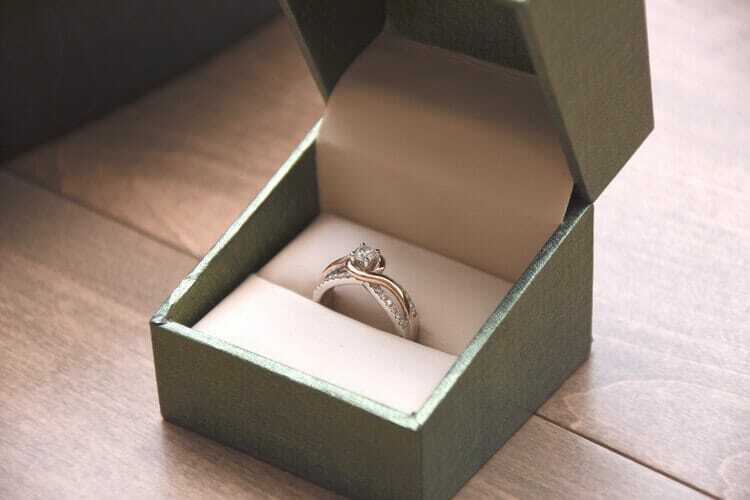 If you change the box to something less obvious, you increase the chances on keeping the proposal a surprise. Wear loosely fitted clothes: Putting the box in your pants and it is a dead giveaway. Wearing loosely fit clothes helps you hide the box in plain sight and it would always be on you. Hide the ring at the location: Unless you plan your proposal to be in a public location, hide your ring in the location that you plan to lead them to. That way you can spring it on them without worrying about hiding the surprise. Ditch the box: In a last-ditch effort throw the box away and hide the ring in a secure location. 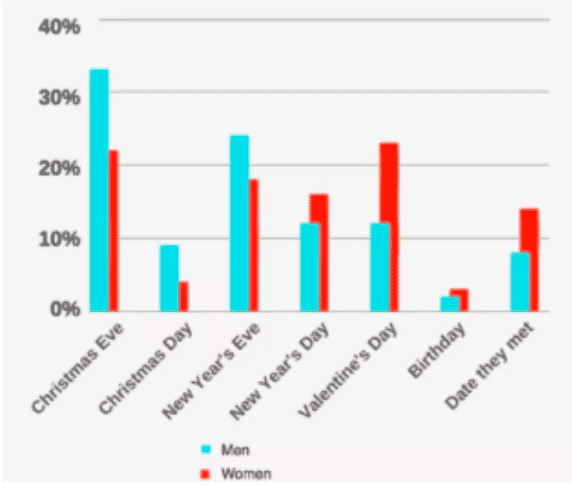 According to their results, 33% of men feel that during the Christmas season of giving and joy is the best time to propose. Whereas 23% of women think that Valentines day’s the best time. It might explain why on social media, you find a lot of your friends and family posting photos of their engagement rings and proposals around December – February season. When is the best time for me? The survey above gives you an outline of the general idea of what other people are thinking. In reality, you and your partner have had many fond memories and milestones in your relationship, many of which happened on different days. So, we recommend you choose a day that holds sentimental value and is of significance to the relationship. Which day that is is entirely up to you. Propose at a holiday destination: If you’re both adventurous and looking for something exotic, then take your proposal overseas. If you’re on a budget, a weekend getaway is just as good. 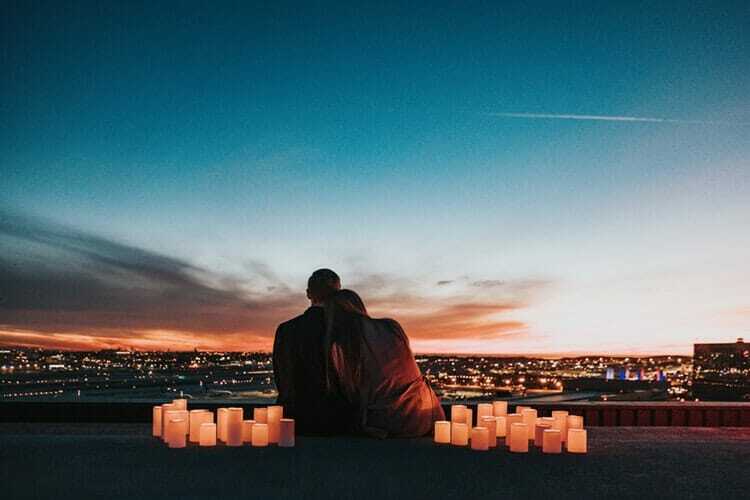 Propose at a sentimental location: This location could be somewhere that the two of you both celebrated relationship milestones like a first kiss, or the spot where you first exchanged those three words. When the location means something important to both of you, it is hard to go wrong. Propose with family around: With such an intimate occasion, sometimes it helps your partner feel at ease and celebrated when their family members are around. 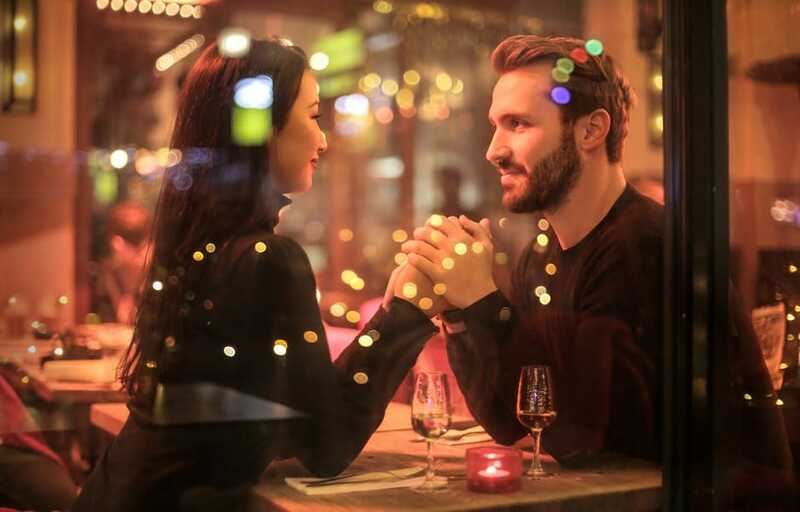 Propose in public: Depending on your partner and how comfortable they are, you could propose at a park or in a restaurant after dinner. Propose in private: When you choose a private location, you have more control over what happens and can curate the proposal to your liking. Be sure that the location you choose suits the mood of the proposal. It is best that you visit the place at least once to rehearse and play things out in your mind. And remember, get creative! This blog will continue in part 2. If you are in the market for a diamond or an engagement ring for your upcoming proposal and require any assistance, please feel free to contact us on 1300 361 873 or via the contact us page for more information. We’d be more than happy to help you out!